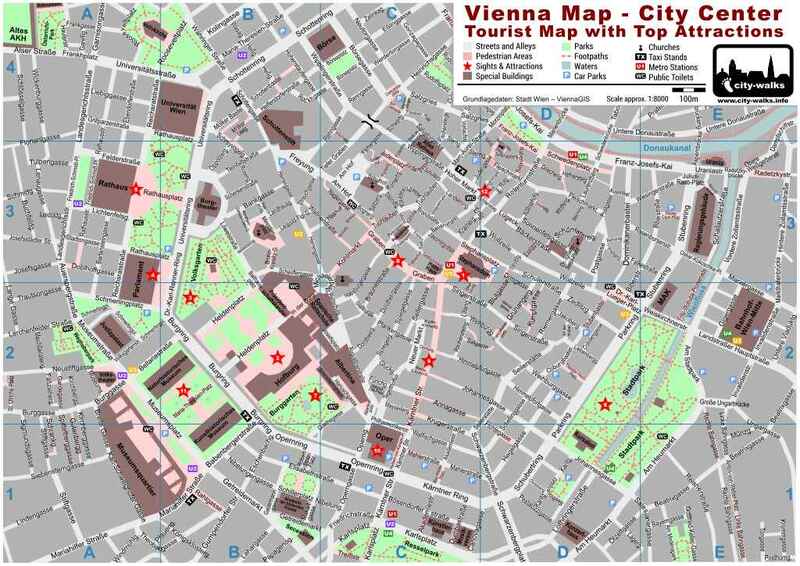 At this version of the Vienna Map without pictures you can see all the streets, alleys and places in the city center of Vienna clear printed on an A4 document. This printable document is also perfect suitable to take along at you tour through the inner city of Vienna. On one sheet you can find all the important attractions marked with a red start and a number. The most impressive buildings are coloured brown. For further information to the marked attractions you can also download the PDF file -Vienna Attractions-. Just click the menu at the concerning point. 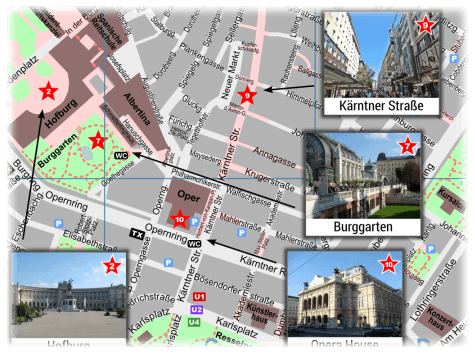 If you prefer to have pictures of the attractions directly at the city map, please click on the right side at -Vienna Map with Pictures-.